Will came to teaching from a career in law and has been teaching for 10 years. 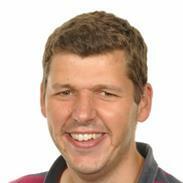 He is now the deputy head at Whitehall Primary where he has responsibility for teaching and curriculum design. He is knowledgeable about the new curriculum as well as approaches to developing a school’s curriculum. Will is an outstanding classroom teacher. He has worked closely with NQTs, PGCE students and experienced teachers to develop their classroom practice, developing their confidence and skills and so securing better outcomes for children. He is an effective communicator and coach and is able to build positive relationships quickly. Will systematically approaches this work drawing on a wide range of personal skills and knowledge to secure improvements.